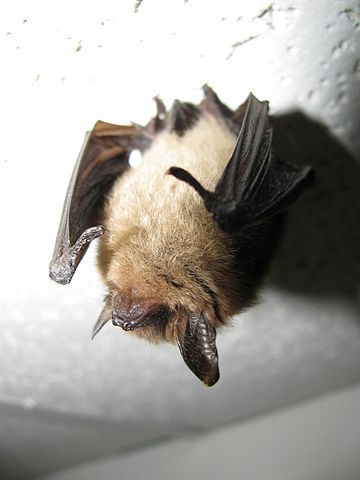 The US Fish & Wildlife Service proposed to list the northern long-eared bat (Myotis septentrionalis) as endangered under the ESA in October 2013 and is due to make a final decision by April 2, 2015. The Service’s options include listing the species as endangered; listing as threatened; listing as threatened with a 4(d) rule; and withdrawing the proposal to list. The latest proposal is to list the species as threatened under the ESA 4(d) rule. For species listed as threatened, the Service may issue a 4(d) rule to provide necessary species conservation protections without unduly burdening private landowners and citizens with regulations that do not further the conservation of the species. 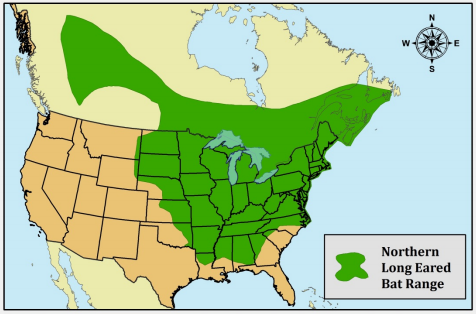 In the case of the northern long-eared bat, the proposed 4(d) rule would mean that in areas of the country affected by white-nose syndrome, activities such as forest management practices, maintenance and limited expansion of transportation and utility rights-of-way, removal of trees and brush to maintain prairie habitat, and limited tree removal projects would be exempt from being considered a “take” (harming, harassing and killing) provided these activities protect known maternity roosts and hibernacula. The proposed 4(d) rule also exempts take as a result of removal of hazardous trees, removal of northern long-eared bats from human dwellings, and research-related activities. 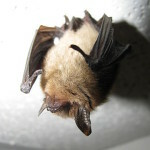 These measures are designed to protect northern long-eared bats when they are most vulnerable, including when they occupy hibernacula and during the two-month pup-rearing season from June through July. The greatest potential restrictions would be during these months, with reduced restrictions at all other times. In parts of the country not affected by white-nose syndrome, the proposed rule recognizes activities that result in incidental take of bats are not imperiling the species, and all will be exempt from the act’s protections. The Service is seeking public comment on the proposed 4(d) rule and is accepting comments on its October 2013 proposal to list the northern long-eared bat under the ESA. Comments are accepted through March 17, 2015. Specifically, the Service is seeking comment on whether it may be appropriate to exempt incidental take as a result of other categories of activities beyond those covered in the proposed rule and if so, under what conditions and with what conservation measures. Electronically: Go to the Federal eRulemaking Portal: http://www.regulations.gov. In the Search box, enter Docket No. FWS–R5–ES–2011–0024. You may submit a comment by clicking on “Comment Now!” Please ensure you have found the correct rulemaking before submitting your comment. After their October 2013 proposal to list the northern long-eared bat (Myotis septentrionalis) as endangered under the Endangered Species Act, the U.S. Fish and Wildlife Service reopened their public comment period for 60 days, through August 29, 2014. USFWS has also extended the agency’s deadline to April 2, 2015, to make its final decision on whether to list the species. Northern long-eared bat (Myotis septentrionalis). Photo by Steven Thomas/NPS. The USFWS is specifically seeking information regarding the interpretation of scientific studies cited in the proposed rule, along with any additional scientific information not already considered in the proposal. They also request information on northern long-eared bat population trends, information on white-nose syndrome and current or planned efforts to conserve the species. Yesterday’s Federal Register included an announcement by HUD that the latest ASTM standard for environmental site assessment has been adopted by HUD and is expected for HUD-funded projects. We are in the middle of working through a couple Phase I Environmental Site Assessments for the Illinois Housing Development Authority’s Low-Income Housing Tax Credit projects. These ESA’s are not typical; they involve several non-scope investigations. For us, this makes these projects all the more interesting. While looking over the website for anything new in the 2014 requirements, I noticed a link to the HUD resource exchange where they have a very concise comparison of the old ASTM standard for environmental site assessment (ASTM 1527-05) and the current standard (ASTM 1527-13). If you are interested, link to the fact sheet here: Fact Sheet: Applicability of ASTM E 1527-13 Phase I ESA Standard for HUD Environmental Reviews . In May of 2013, the FWS released the 2013 Revised Range-wide Indiana Bat Summer Survey Guidelines. The updated 2014 Rangewide Indiana Bat Summer Survery Guidelines are now available. Obviously, if you do Indiana bat surveys, you’ll want to compare the documents for yourself, but just in case you want a quick synopsis, I reviewed the new Guidelines and made a list. Mist-netting surveys for non-linear projects in the Northeast and Appalachian Recovery Units now require a minimum of 42 (previously, 24) net nights per 0.5 km² of suitable summer habitat (See “Step 4,” page 5 of the Guidelines.). Instructions for mist-netting surveys in the Midwest, Southeast, and Southwest USFWS Regions no longer contain language that allows survey results following previous Indiana Bat Mist Netting Guidelines (from the 2007 Indiana Bat Draft Recovery Plan) (See “Step 4,” page 5 of the Guidelines.). Mist-netting surveys for non-linear projects in the Midwest, Southeast, and Southwest USFWS Regions now require a minimum of 9 (previously, 4) net nights per 0.5 km² of suitable summer habitat (See “Step 4,” page 5 of the Guidelines.). The 2014 Guidelines also specify that the sampling period for netting in the Midwest, Southeast, and Southwest USFWS Regions will begin at sunset and continue for at least 5 hours. A maximum of 3 consecutive netting nights at any given location is set (see “Step 4”, page 6 of the Guidelines.). The number of detector nights for acoustic surveys in non linear projects has been reduced from 6 detector nights per 0.5 km² to 4 detector nights per 0.5 km² (“Step 5”, page 6). The number of detector locations per 0.5 km² has been changed from 3 locations to 2 locations to mirror the change in number of detection nights required. A minor clarification that results of acoustic ID programs should be reviewed “by site by night” (previously “by night and site”) (“Step 6”, page 7). For the past several years, January has begun a season of Phase 1 Environmental Site Assessments for Illinois Housing Development Authority (IHDA) projects throughout the state. IHDA Environmental Site Assessments are not the typical Phase 1; there are several non-scope items that must be addressed. The process is meant to satisfy the needs of both National Environmental Policies Act (NEPA) compliance and CERCLA innocent landowner defense. The IHDA Phase 1 Environmental Site Assessment requires much more than just a cursory knowledge of ASTM Standard 1527 and All-Appropriate Inquiry. Therefore, it’s more important than ever that the company performing your IHDA Phase 1 Environmental Site Assessment be experienced and approved. Specialized Ecological Services is both. We have been on the list of IHDA Approved Environmental Firms since IHDA has had a list! If you’re working toward IHDA funding for your project, get us involved early and we can help keep your initial project planning costs low and help make certain that your Environmental Review is everything IHDA is expecting. The USEPA has published a helpful document which summarizes the differences between the old ASTM standard for environmental site assessment and the new. Here’s a direct link to the Regulations.gov page where you can download the pdf summary. Alternatively, click here, for the same document stored on our server (may be faster than Regulations.gov).